The country’s deputy prime minister thinks others see the domestic economy as a case study for its rapid recovery. GDP has risen and Madrid deserves credit. But with growth likely to slow and unemployment and a big budget deficit both problems, there’s no room for complacency. Spain's economy grew 0.7 percent in the third quarter against the previous three months, or 3.2 percent on an annual basis. That's slightly less than the 0.8 percent and 3.4 percent in the second quarter, due to a lower contribution from domestic demand, the National Statistics Institute said on Nov. 24. 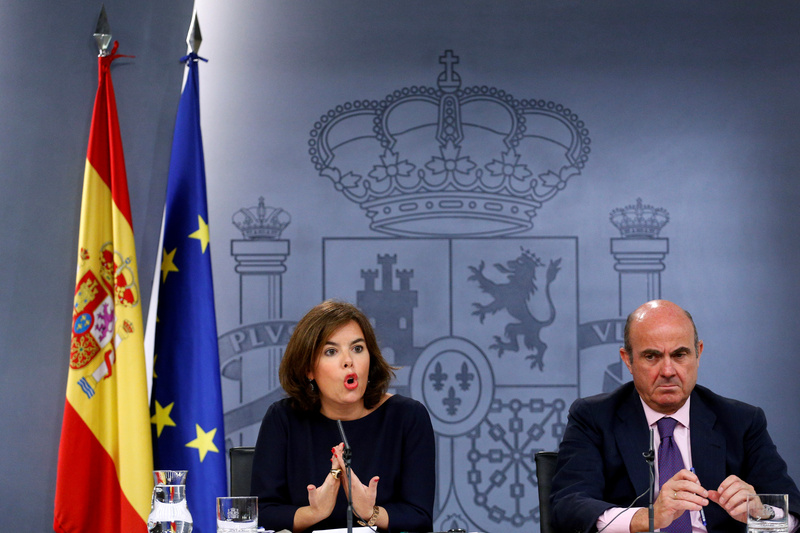 Meanwhile, Deputy Prime Minister Soraya Saenz de Santamaria said in a speech that Spain's recovery was a case study in the world thanks to the work of businesses and businesspeople. She was speaking at an economics award ceremony on Nov. 23 sponsored by financial newspaper el Economista.